You will remember I mentioned in my last post on Armani Si (which you can read here) that I was going to be showing you the big reveal of the new look and feel for their #SaySi campaign with the ever-beautiful Cate Blanchett. Having spent the previous few weeks in Europe (and many, many hours in Sephora!!!) 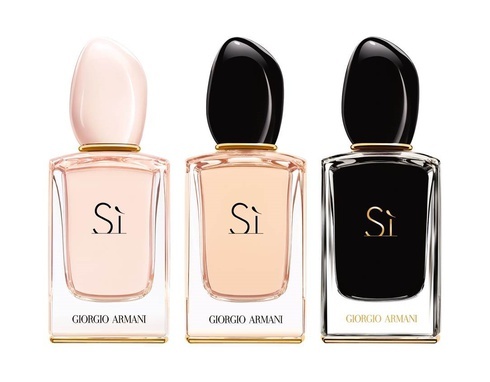 I saw so much about Si everywhere, there were the most beautiful displays and interactive stands with videos playing and displays of all three of these beautiful fragrances - if you've lost track of the different Si's available you can see details here. Anyway, getting back to the exciting part - this is the beautiful Cate Blanchett in the latest advertising material released yesterday as part of the #SaySi campaign which I love the concept of (and think it's definitely something that we should all adopt a tad more into our lives! I love how Cate said, "Si to life, Si to love, Si to freedom… all of those things are incredibly important and things that we… I think, when you have them, you take them for granted and so, on a daily basis, to say yes to them is like another affirmation. And it’s such a positive, outward-looking way to live one’s life. To say Si to other people, to experiences because we’re always concerned with how things affect us, you know, and I think it’s really important to walk openly in the world and to be positive and out-looking and generous. I always say I’m going to say “no” but I really don’t." This is the short film from the actual campaign - it's too beautiful for words! Is there a piece of clothing you can’t live without? A piece of clothing I can’t live without… One of the things about living in Australia is that you don’t really get the change of seasons, as I really love wearing a great coat. And I don’t get to do that every day. Obviously when I’m in Europe or in the colder parts of America I do, but … You mean on an everyday level? I think it’s a black pant and I love a men’s shoe. What’s the greatest freedom of today’s woman? The greatest freedom of today’s woman… Well I’d love to say that it’s something like time but I think that in the way the world is going, it seems to be the right to drive a car, the right to ride a bike, the right to vote. Financial freedom as well… it’s an incredibly important freedom that so many women don’t have, financial independence. So yes, I would love to say it’s time but I think increasingly it’s those basic rights that we women in the west – the financially independent women in the west – take for granted. I tend, in everyday life, I tend to go for comfort. But in the end, the thing I will most likely buy for myself, you know, are shoes. I need a watch because I need to know what time it is. I need a really comfortable pair of shoes, because that’s what carries you through the day. And I tend to wear… I’ve got into the onesie, the jumpsuit. Comfort. 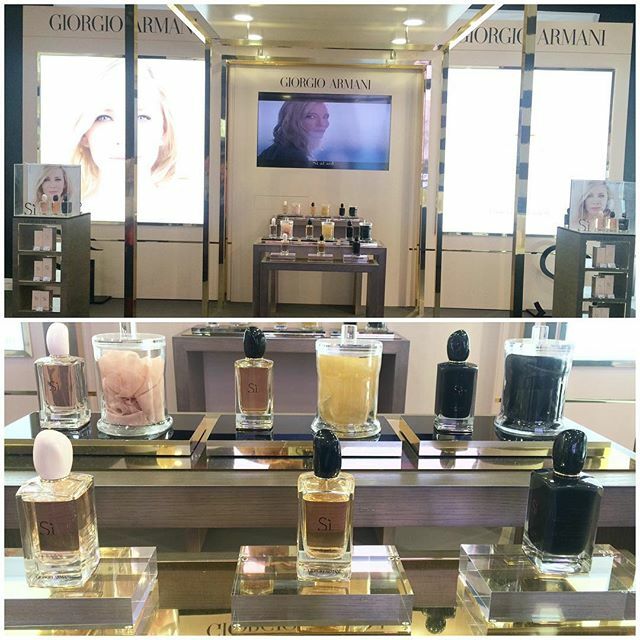 You can follow the Armani Beauty page here for further details.